The Upper Saranac Foundation (USF) is pleased to offer the Water Shield Workshop, an Upper Saranac Lake hands-on water quality experience. This is an exciting new way for shore owners to get involved with the efforts to improve and maintain the water quality of Upper Saranac Lake and see what makes the Lake so special. 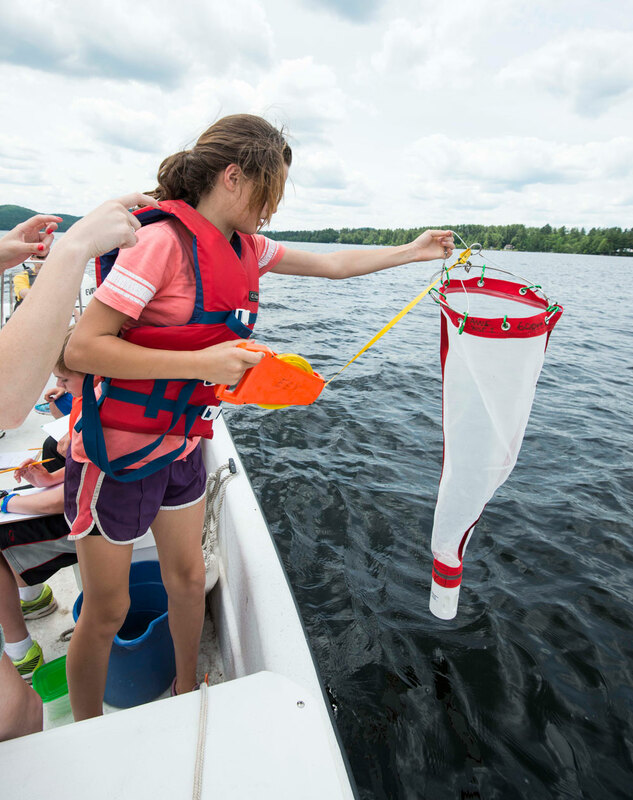 In cooperation with the Adirondack Watershed Institute at Paul Smith’s College and the Upper Saranac Lake Association (USLA), the Foundation’s Water Shield Workshop will engage Lake residents of all ages with hands-on aquatic learning about our watershed through experiential education and engagement. As a participant of the Water Shield Workshop, you will learn about Upper Saranac Lake and how to keep its water clean and clear. You will also have the opportunity to be involved with what the Upper Saranac Foundation does on a day-to- day basis. 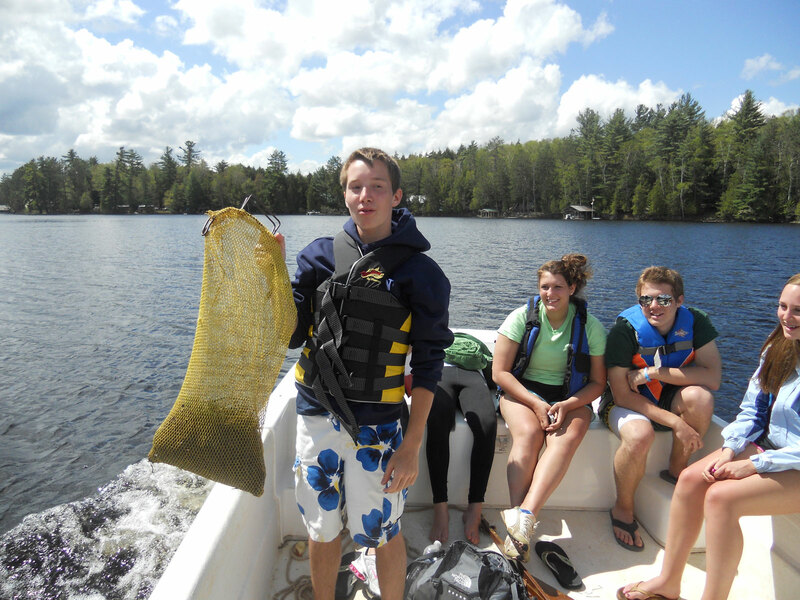 You will go out on the Lake by boat and learn about the Lake’s ecosystem, shoreline protection and pollution control, invasive species, and visit with our divers, who will be harvesting Milfoil. You will measure water clarity, catch and identify zooplankton (microscopic animals) that live in the Lake, take water temperatures, and test dissolved oxygen levels. The ½ day Water Shield Workshop will be offered to Upper Saranac Lake watershed residents upon request for groups of 9 or more. For more information or to set up your aquatic adventure contact our Lake Manager at lakemanager@usfoundation.net. So come aboard AWI’s boat, the Water Shield, and find out what makes Upper Saranac Lake so special! Who? All ages are welcome, but the focus will be on school aged children, 10 and older. Families are encouraged to take part. 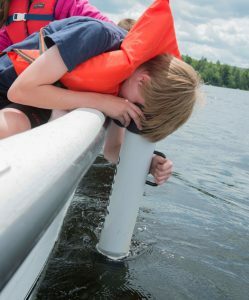 Participants under the age of 10 will need to be accompanied by an adult and provide their own lifejacket. When? upon request. The day will begin at 9:30 am and conclude in the early afternoon. Participants are asked to arrive between 9:00 and 9:15 AM to be fitted with life jackets. Where? USF’s Water Shield Workshop will begin at the NYSDEC Back Bay boat launch at the Northern end of the Lake at Saranac Inn. Cost? There is no cost for your Water Shield Workshop journey, but reservations are required, no later than five days prior to the event. The USLA will be providing lunch. Your Journey: Aboard the AWI Water Shield, you will be testing Water Quality, measuring water clarity and conducting Plankton tows to see what’s living just below the water’s surface. On land, participants will learn how watersheds work by using a watershed model, and see what impacts the watershed we live in. Sounds like fun doesn’t it! We hope you can join us to explore the ecosystem and determine the Lake’s health and, most importantly, to find out what you can do to preserve the Lake for future generations.